UPDATE AND DISCLAIMER: After typing this post out it just occurred to me that this will be the first impression I give to all the people who visit my website for the first time from the Haven Conference. Hello, my name is Beth at Unskinny Boppy, and I have decorated my home with toilet paper and pool noodles. Consider yourself warned. 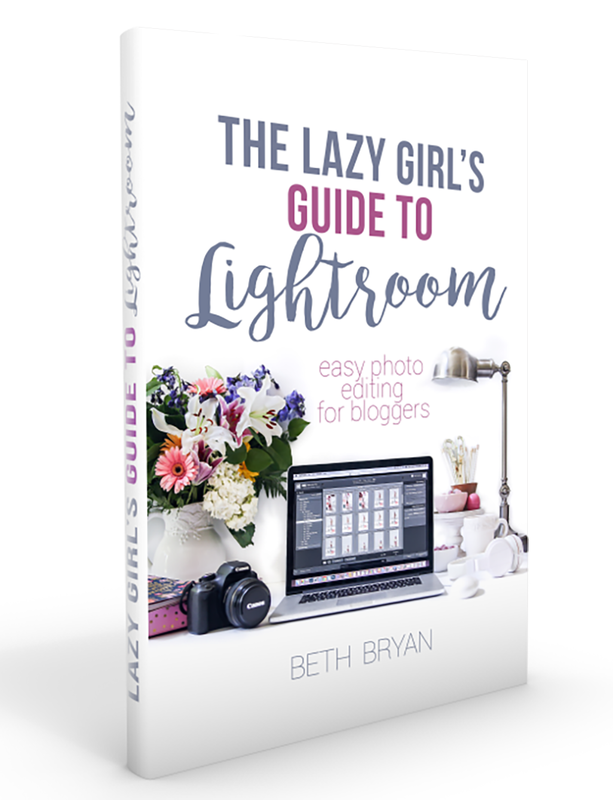 Welcome to my blog, new readers and potential sponsors! Hope you enjoy your fifteen second stay! 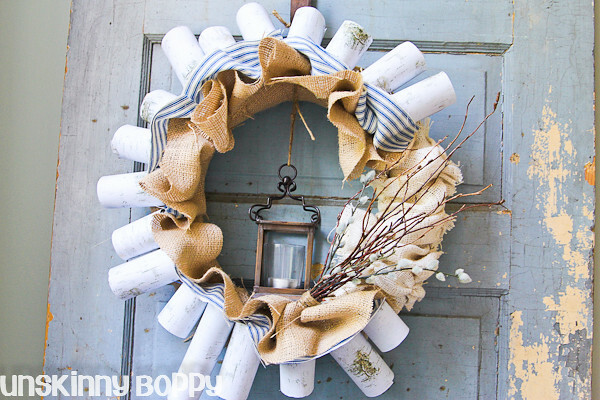 Well guys, I can’t decide if I like this wreath or if I’m having a big OOPS! I’ve done it again kinda moment. I’m gonna let y’all be the judges on this one. 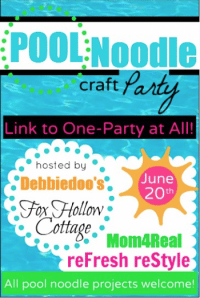 I wanted to link up to the fun pool noodle wreath party that my friends Debbie, Shannon and Debbie are hosting right now. 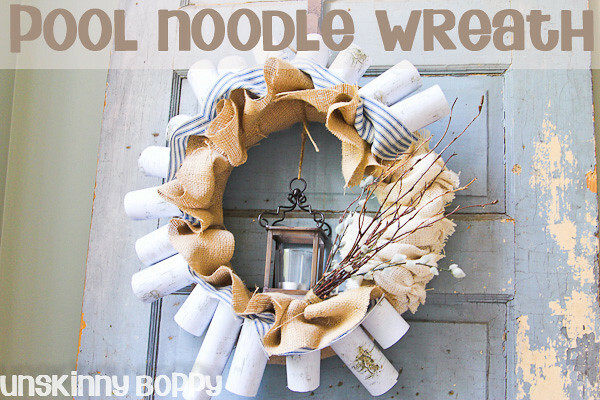 You should go check out all the great wreaths and ideas they have created from pool noodles! 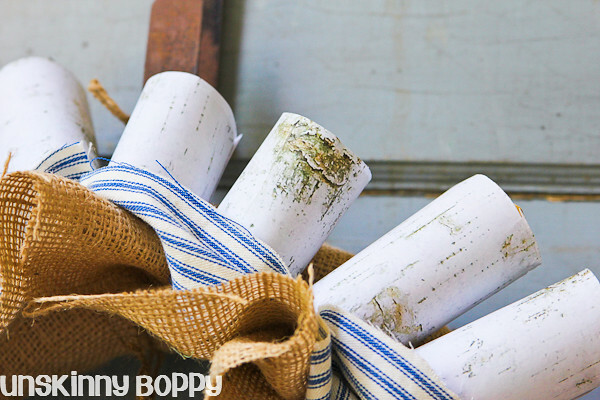 I thought long and hard about what I wanted to make, but I wasn’t very inspired until yesterday when I came across this Martha Stewart tutorial showing how to make birch logs from toilet paper holders for a Christmas project. And then… lightbulb. Suddenly I knew what I wanted to do. 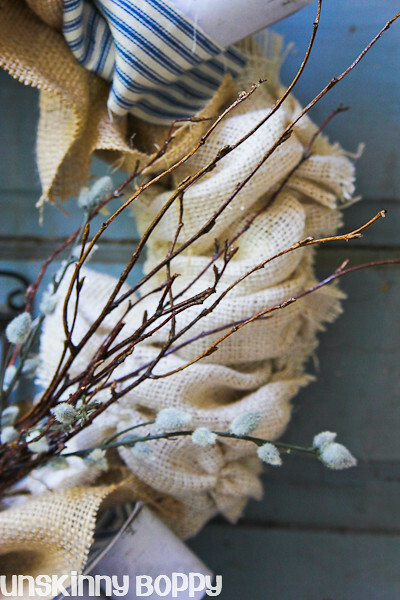 I wanted to make a faux birch bark wreath to coordinate with my actual birch tree logs that are standing in my foyer. But in my head it turned out a lot better that it actually did in person. 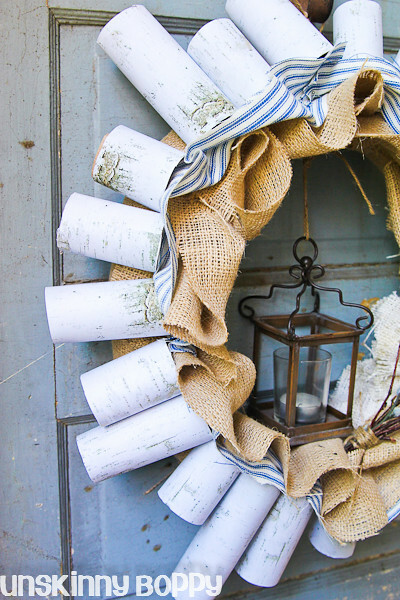 The birch bark printable I used was a whole lotta white space that wasn’t very birch-y, so it kinda just looks like I stuck a bunch of ACTUAL toilet paper rolls all over my wreath. Not the look I was hoping to achieve. But, since I’m leaving for the Haven Conference in just a few short hours I don’t really have the time or inclination to change it. So I’m just gonna post this and run, and let you all give me a nice side-eye while I’m gone! 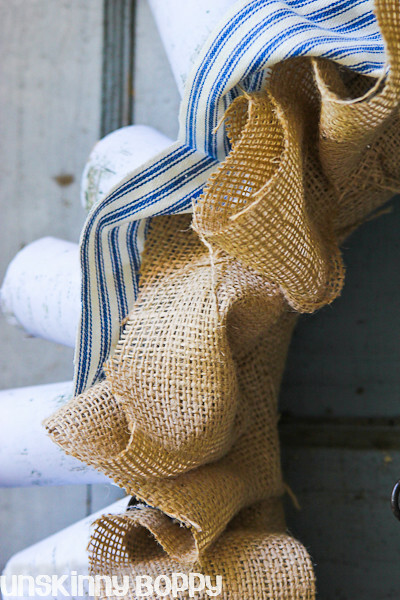 So, now that you’ve seen the pool noodle /tp concoction I guess I should also mention that I also like to decorate with burlap. At least the lantern is cute, right?! Please weigh in and give me your honest opinions. Humm not sure I like the whole wreath. 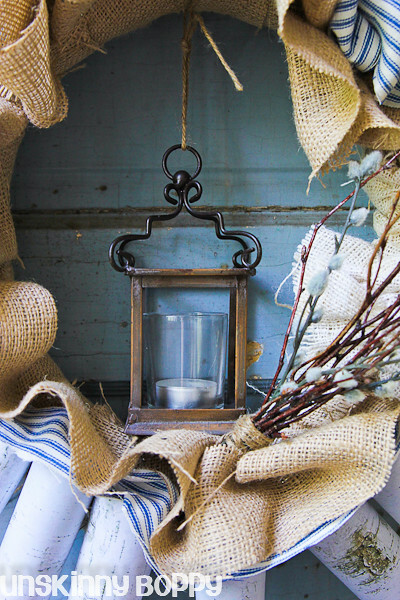 like the burlap and the Willow House lantern but not so sure about the rest…sorry just being honest! Is there a way to cut the rolls to make the diameter of the logs smaller? Maybe if they were different sizes? Good luck, very cute! Oh Beth your noodle is so cute and unique! You done great. Thanks for joining our party. It’s perfect! I cannot believe how real they look! Thanks so much for sharing! Like I said… never seen anything like it! Tots unique and it was a fun, fun post to read! Wow Beth you are insanely creative! I LOVE LOVE LOVE IT! Yep, the lantern is really, REALLY cute. 😉 Have fun at Haven! Totally envious that you’re going. Ok I went and checked out Haven and I am sooooo envious. Have a wonderful time and learn lots of stuff to come back and teach us! I think it’d be pretty cute without the “birch logs”…and maybe more fabric layers…or maybe just less logs? I like it too! And I loved hanging out with you at Haven! Thanks for linking up! KEEP! This is fabulous! Love it! 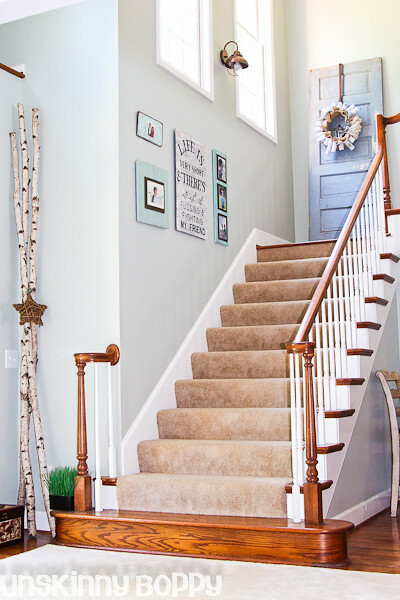 can you please help me in how to make FAKE birch fireplace logs…..”just” to place in my fireplace.